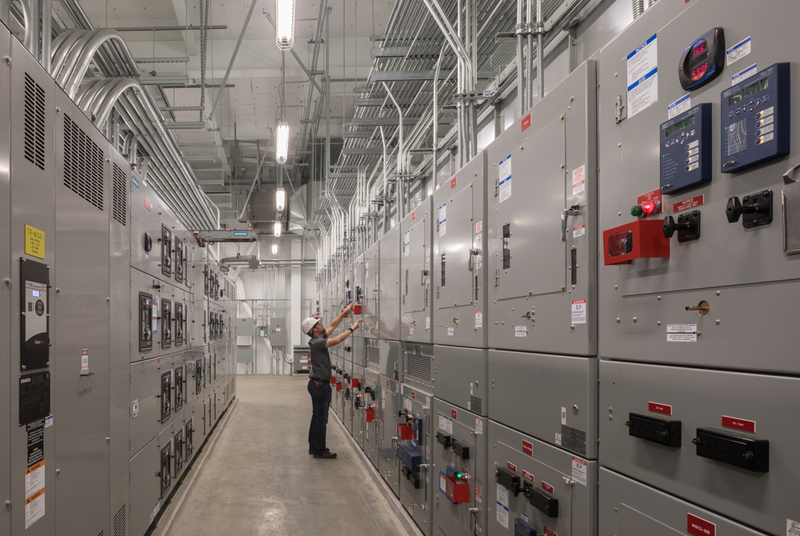 The University of Washington’s West Campus Utility Plant in Seattle is the recent recipient of the Institute for Sustainable Infrastructure (ISI) Envision Gold award. The Envision system rates sustainable infrastructure projects across the full range of environmental, social, and economic impacts. 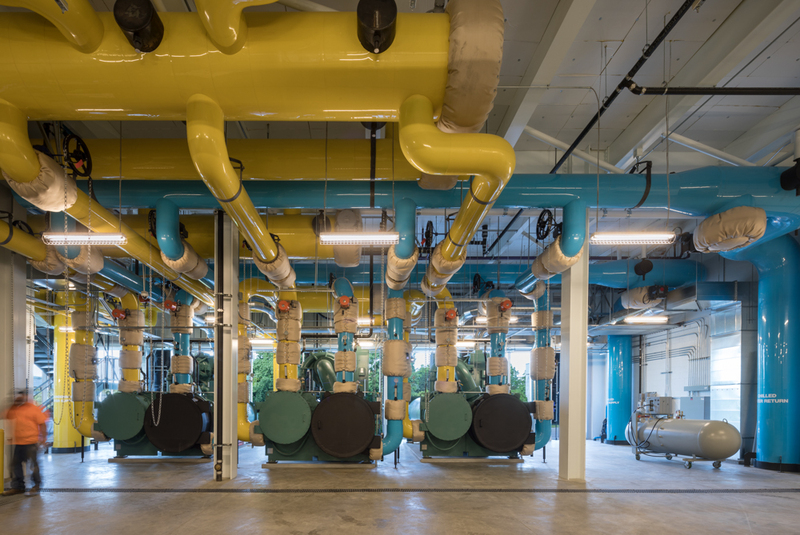 The West Campus Utility Plant (WCUP) is a design-build project developed to expand central utility capacity for the University of Washington (UW). While the UW community is the primary user of the WCUP facility, the project team also worked with the local community to ensure the facility positively contributed to the broader university district, nearby neighborhoods, as well as the public. The project team also developed the utility plant project to align with several local infrastructure plans, including the UW Campus Master Plan, the West Campus Development Framework, and the U District Strategic Plan. Several organizations worked in close collaboration with UW to deliver the sustainable infrastructure project, including Mortenson Construction, Miller Hull, Arup, GGN, KPFF, and O’Brien and Company. Conceived as an integral component of the broader community’s utility infrastructure, the WCUP project at UW was found to have commonalities with central utility plants that are more efficient, sustainable, and easier to operate, versus other types of utilities located within each of the campus’s many buildings. In this way, the WCUP has greatly improved infrastructure integration on campus. Many stakeholders were consulted throughout the design of this project. Stakeholder feedback was sought, and concerns raised by stakeholders were explicitly addressed by the project team in the facility’s design, including visual impacts, noise and vibration, emissions, stormwater, and tree preservation. Leadership: The WCUP project team has demonstrated significant leadership in sustainable development by making public their sustainability commitments. For example, through the UW Sustainability Office, the Environmental Stewardship Committee, and the Campus Sustainability Fund, UW demonstrated clear and tangible commitments to the principles of sustainability. UW has implemented several sustainability policies, tracked a range of sustainability metrics campus-wide, funded student and faculty research in sustainability, and developed and implemented sustainable capital projects, such as the WCUP. All members of the project team have extensive experience designing and building sustainable infrastructure projects, and all key firms involved in this project make their sustainability commitments known through publicly accessible policies and annual sustainability reports. The project delivery model, the Progressive Design-Build (PDB), used to deliver the WCUP was chosen as it fosters effective collaboration and teamwork between all members of the project team. The “design-build” aspect of the delivery method brought together the general contractor, architects and engineers. The “progressive” part of the model emphasized early design stage collaboration with the client (project owner) rather than a more traditional design-build model. A key element of the PDB project delivery method for the WCUP was the early involvement of the constructor’s trade partners. Allowing trade partners (subcontractors) to make design suggestions based on their extensive knowledge of procurement, fabrication, and installation increased the efficiency of the project’s delivery. Natural World: The WCUP incorporates measures to prevent pollutants from contaminating surface and groundwater, such as the redundant systems with sophisticated leak detection and monitoring. It is also equipped with a double-wall 30,000-gallon fuel oil storage tank and a fuel distribution system for the rooftop generators. This system is also equipped with a leak detector, and a transition sump design to contain potential fuel leaks. In addition, the project’s refrigerant monitoring system provides monitoring and automatic equipment shut down in the event of a refrigerant leak. During the design process, an abandoned underground oil storage tank was found on-site and all hazardous materials were abated and removed from the site to remediate existing and prevent future contamination. Quality of Life: Prior to the WCUP project, the existing site was a parking lot with an under-used building, isolated foot path, overgrown vegetation, and an alley. The foot path was isolated from public view, attracting unwanted activities. The landscape design for the project improved these conditions, contributing to a more livable campus community. It improved access to existing amenities by repairing the pedestrian infrastructure and making it safer, enhancing the aesthetic character of the campus through the removal of overgrown vegetation, and creating an improved sense of safety and security by removing informal foot paths and adding lighting to the site. 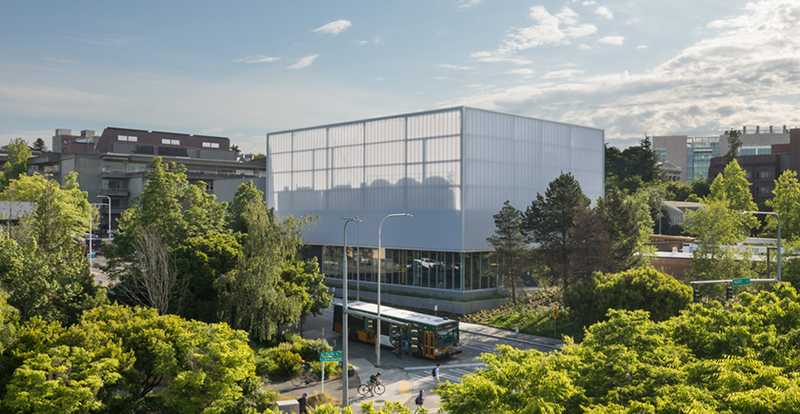 A large polycarbonate screen wall was incorporated into the project’s design that serves to hide equipment from view, thereby improving the overall aesthetics of the building, and helping to maintain the character of the campus. This screen wall is also a unique campus landmark that will help orient pedestrians, and act as a distinctive “gateway” to the campus. Interactive LCD displays were incorporated at the pedestrian level of the WCUP to encourage participation in dynamic content and improve the overall appeal and character of the facility.